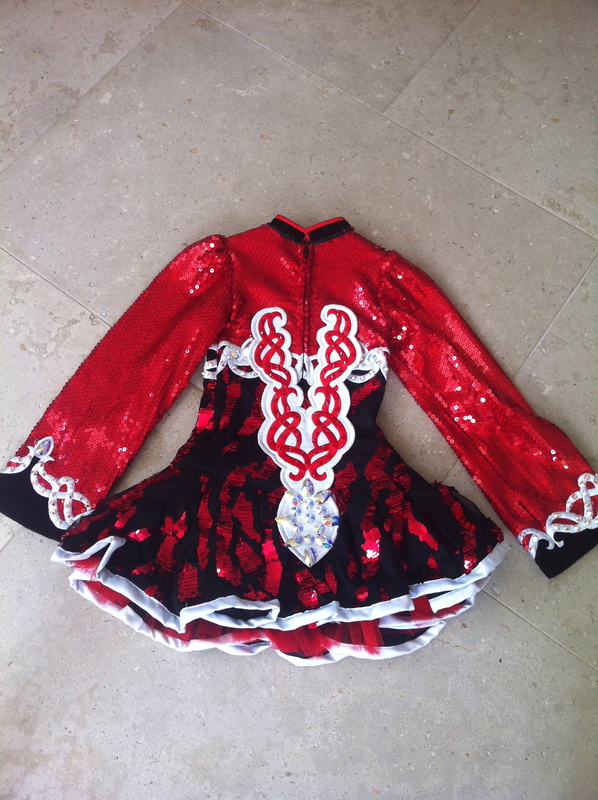 This is a stunning championship Gavin Doherty dress in immaculate condition. The dress has numerous Swarovski crystals for added sparkle on stage. Sleeves and collar are trimmed in black velvet. 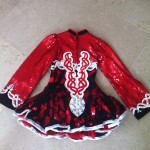 There is red tulle underneath the skirt for added impact when dancing. 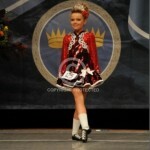 The flame effect on the bodice is very eye catching on stage. 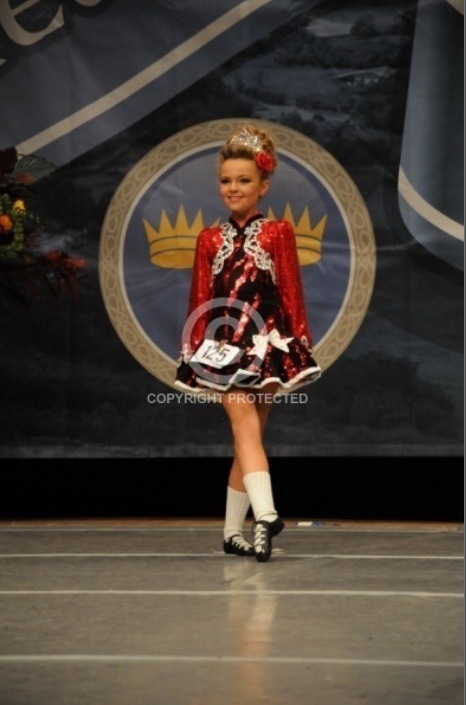 We would be happy to send additional photos if required, The dress would suit a petite 12 year old or a regular 10/11 year old. Comes with sash and kick pants. Asking Price: €850. Shipping costs are not included in the asking price. Returns are negotiable.